Best-selling novelist Dennis Lehane is known for gritty crime thrillers like "Mystic River" and "World Gone By" that feature hard-headed male protagonists. But at the center of his new book, "Since We Fell," is Rachel, a woman whose troubled past, agoraphobia and panic attacks come into play as she realizes her husband may not be all that he seems to be. Lehane (@dennis_lehane) speaks with Here & Now's Robin Young about the book. He looked surprised too. She assumed she did as well. Her mother wouldn’t have been surprised. Her mother, who never married, wrote a famous book on how to stay married. The chapters were named after stages Elizabeth Childs, Ph.D., had identified in any relationship that began in a state of mutual attraction. The book was entitled The Staircase and became so successful that her mother was convinced (she’d say “coerced”) into writing two sequels, Reclimbing the Staircase and Steps of the Staircase: A Workbook, each of which sold more poorly than the last. Then her mother kissed her head. Patted her cheek. Told her she was safe. Rachel was seven when The Staircase was published. She remembered the endless phone calls, the flurry of trips, her mother’s renewed dependence on smoking, and the desperate, chiseled glamour that overtook her. She remembered a feeling she could barely articulate, that her mother, never happy, grew even more bitter with success. Years later, she’d suspect the reason was because the fame and the money robbed her mother of excuses for her unhappiness. Her mother, brilliant at analyzing the problems of strangers, never had a clue how to diagnose herself. So she spent her life in search of solutions to problems that were born, raised, lived, and died within the boundaries of her own marrow. Rachel didn’t know any of that at seven, of course, or even at seventeen. She only knew that her mother was an unhappy woman, so she was an unhappy child. When Rachel shot her husband, she was on a boat in Boston Harbor. Her husband remained on his feet for only the briefest of time— seven seconds? ten?— before he fell over the stern and into the water. But in those final seconds, a catalogue of emotion found his eyes. There was dismay. Self-pity. Terror. An abandonment so total it took thirty years off his life and turned him into a ten- year- old before her eyes. A sudden and fierce determination, as if, even as the blood spilled from his heart and over the hand he’d cupped below it, he’d be okay, he’d be fine, he’d get through this. He was strong, after all, he’d created everything of value in his life by force of will alone and he could will himself out of this. Then the dawning realization: No, he couldn’t. There was no mistaking it. Wild, helpless, pure. Blooming and splattering in tandem with the blood on his shirt. He mouthed it, as he often did from the other side of crowded rooms: I. Love. You. And then he fell off the boat and vanished beneath the dark water. Or was the next chapter— “The Death of the Old Narrative”— more applicable? Rachel wasn’t sure. She got them confused sometimes. 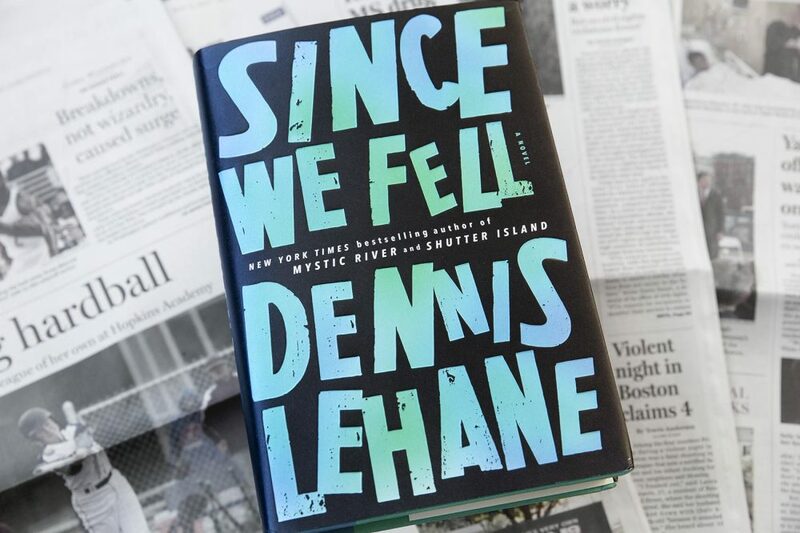 Excerpted from SINCE WE FELL by Dennis Lehane. Copyright © 2017 by Dennis Lehane. Excerpted by permission of Ecco, an imprint of HarperCollins Publishers. This segment aired on May 10, 2017.